"How can belugas see with their voice?" "How big is a whale?" and a bonus question from Caleb .. "Do whales eat humans?" .. then we look for the answers together! 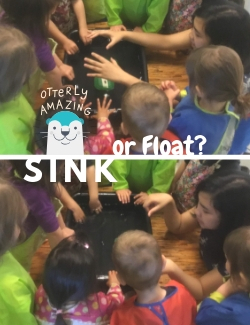 We did an Sink or Swim experiment to test out the buoyancy of an otter's fur. 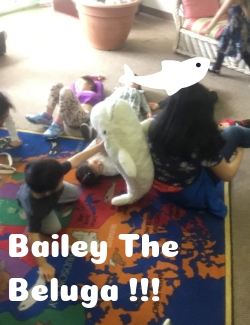 We met a Beluga named Bailey and tried using echolocation by playing a game of Beluga Marco-Polo (I say "Oooh~", you say "Eee!"). What can we do to save our Ocean? 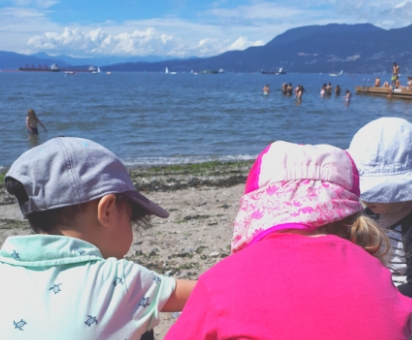 ..plastic toothbrush, bottle caps, pens.. ordinary everyday items, yet they're causing extraordinary damages to our ocean and marine friends ..
Join us for our last two weeks of Summer Time Rhyme Big Kid's Club, to learn about the different ways that we can keep plastics out of sea! Though it might seem like a daunting task for little hands ..
.. and if we've learned anything at all in our Big Kids Club journeys, it's that things that seems daunting can be fun when you do them with your friends! 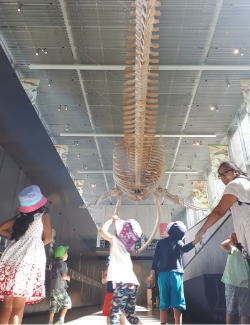 Join Ocean Motion on Fridays at 1-4pm or 1-5pm for fieldtrips!